Fiber Flux: Ready for Gifting! 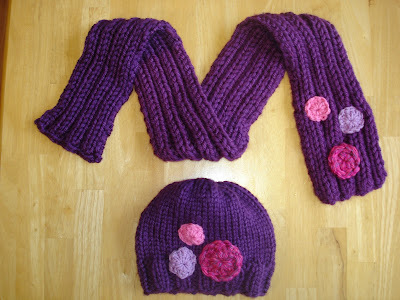 Knitted hat and scarf has crochet "gems"
The hat and scarf are so beautiful. I think any girl would love such gift.